In the Philippines people like to celebrate Christmas for a long time, people can get festive as early as september! The actual Christmas celebrations start on the 16th of December when many people go the the first of nine early morning masses. The last mass is on Christmas day. The Christmas celebrations continue on to the first Sunday in January when the Feast of the Three Kings is celebrated. In the Philippines the early mass held the day before christma is called the “Misa de Gallo” or “Simbang Gabi in Filipino.” Christmas customs in the Philippines are a mix of western and native Filipino traditions. Because of this people in the Philippines have “Santa Klaus”, Christmas trees, Christmas cards and Christmas carols from western countries. 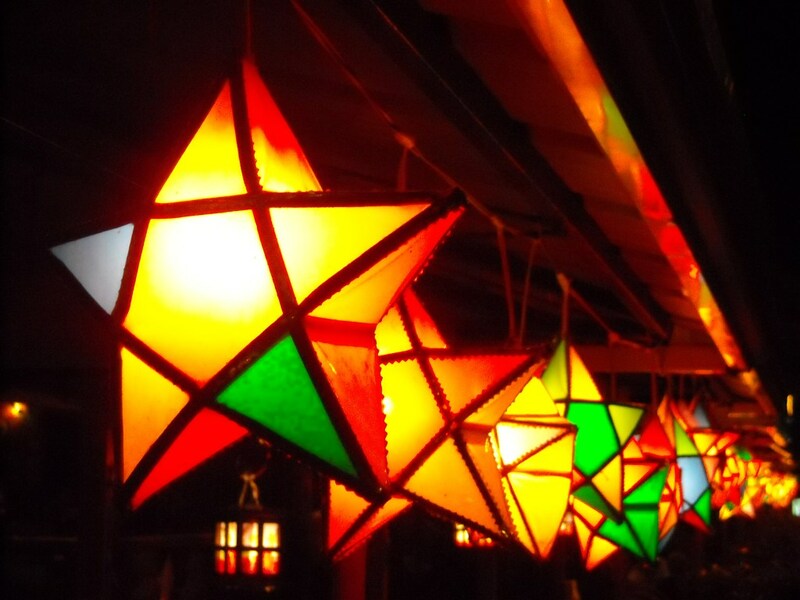 Filipino’s they have a christmas tradition called “parol” it is a bamboo pole with a lit star lantern on it. It is a very popular Christmas decoration in the Philippines. On Christmas Eve evening Christians go to church to hear the Christmas Eve mass. They then have a midnight feast that they call the “Noche Buena.” Many people in the Philippines stay up all night until Christmas day. In the philippines they are also known to hang lights and lanterns around towns and villages which is a beautiful tradition. On the Noche Buena which is a big open house celebration with friends, family, and neighbours dropping in to wish everyone a Merry Christmas. Most households have several dishes laid out. One plate is “Lechon” (roasted pig), ham, fruit salad, rice cakes and other sweets, steamed rice, and a lot of different kinds of drinks.